It's been a while since I've seen former Bond girl Olga Kurylenko in anything, which is a shame as, aside from being downright beautiful, she was one of the better Bond girls in recent years. But she's back in the upcoming horror flick Mara, which hails from one of the producers of Paranormal Activity and Insidious. Pretty good pedigree as far as I'm concerned. 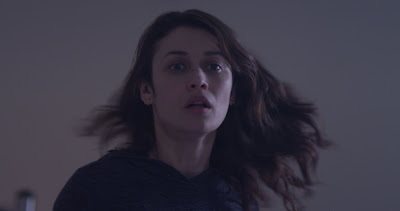 Kurylenko plays a criminal psychologist who investigates the murder of a man who was strangled in his bed. While interviewing the victim's eight-year-old daughter, she stumbles across information that leads her to believe a centuries-old demon is murdering people in their sleep. Sure, Mara isn't anything new. But the subject of sleep paralysis is an interesting one, and ripe material for the horror genre. I'm willing to give this a watch -- especially given Kurylenko's presence -- when it hits VOD and digital Sept. 7.